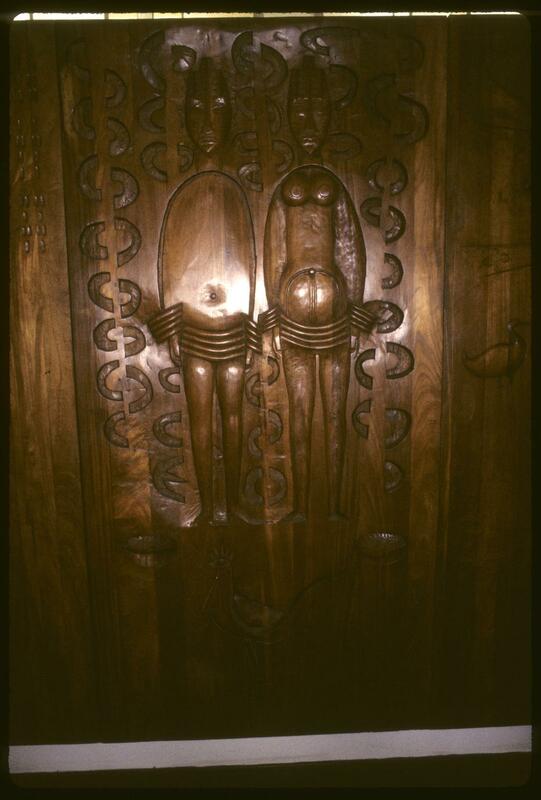 Wood panel carved in relief depicting Ibeji (twins) by Héctor Julio Páride Bernabó or Carybé. The photograph was taken in the Mus. Afro-Brasil, Salvador, Bahia.